Some see us as education’s odd couple—one, the president of a democratic teachers’ union; the other, a director at the world’s largest philanthropy. While we don’t agree on everything, we firmly believe that students have a right to effective instruction and that teachers want to do their very best. We believe that one of the most effective ways to strengthen both teaching and learning is to put in place evaluation systems that are not just a stamp of approval or disapproval but a means of improvement. We also agree that in too many places, teacher evaluation procedures are broken—unconstructive, superficial, or otherwise inadequate. And so, for the past four years, we have worked together to help states and districts implement effective teacher development and evaluation systems carefully designed to improve teacher practice and, ultimately, student learning. While many factors outside school affect children’s achievement, research shows that teaching matters more than anything else schools can do. Effective teaching is a complex alchemy—requiring command of subject matter, knowledge of how different children learn, and the ability to maintain order and spark students’ interest. Evaluation procedures must address this complexity--they should not only assess individual teachers but also help them continuously improve. Yet both of us have become increasingly concerned that states and districts are doing evaluation quickly instead of doing it right, which could have serious adverse effects. Respons-ibility for improving teaching shouldn’t rest with teachers alone. 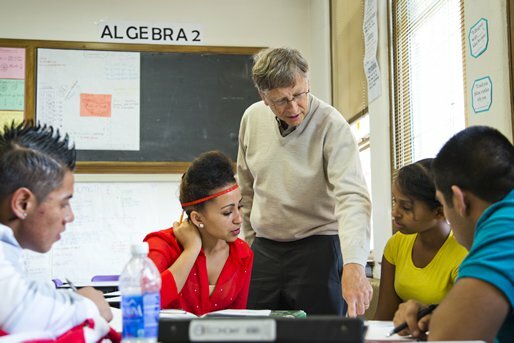 The Bill & Melinda Gates Foundation launched the Measures of Effective Teaching (MET) study in 2009 to identify effective teaching using multiple measures of performance. The foundation also invested in a set of partnership sites that are redesigning how they evaluate and support teaching talent. And the AFT has developed a continuous improvement model for teacher development and evaluation that is being adapted in scores of districts to help recruit, prepare, support, and retain a strong teaching force. 1. Match high expectations with high levels of support. Teacher evaluations should be based upon professional teaching standards that spell out what teachers should know and be able to do. Teachers should receive regular, timely feedback on their performance and support to get better. The responsibility for improving teaching shouldn’t rest with teachers alone. Measures of effective teaching enable school systems to better support teachers’ improvement needs and to determine if teachers have the tools and school environment conducive to good teaching. Sound measures help school systems know where to target professional development and whether those efforts work. The goal of the process should be to systematically improve teacher practice and increase student learning.
. Measures of student learning gains commonly based on end-of-year tests provide teachers with too little information too late and may not reflect the full breadth and depth of instruction. We know that a balanced approach works best (teacher observation, student work, and student assessments, for example) and both our organizations are conducting what could be called R&D in this area. The Gates Foundation’s MET project (much but not all of which the AFT agrees with) has found that combining a range of measures—not placing inordinate weight on standardized test scores—yields the greatest reliability and predictive power of a teacher’s gains with other students. And the AFT and its affiliates are exploring ways to accurately determine what measures best serve as a proxy for our work. 3. Use information to provide constructive feedback to teachers, as befits a profession, not to shame them. A more productive approach is to hold principals and districts accountable for the continuous improvement of teachers, including giving teachers key supports and dismissing teachers who do not improve even after receiving help. 4. Create confidence in the quality of teacher development and evaluation systems and the school’s ability to implement them reliably. This means using a valid rubric for observing teacher practice; training and certifying raters to ensure they can observe classrooms fairly and consistently; and observing teachers multiple times, using multiple observers: administrators and peer or master teachers. It also means preparing principals and others to give skilled feedback that can support teachers’ growth. 5. Align teacher development and evaluation to the Common Core State Standards. MET data show that most teachers are a long way from confidently handling the instructional shifts necessary to meet the Common Core State Standards. For example, while most teachers are adept at classroom management skills, teachers have long been taught to fit a lot of material in a short period of time, not to ask high-level questions or to engage students in rigorous discussions. Luckily, this is also an area with huge, untapped potential. 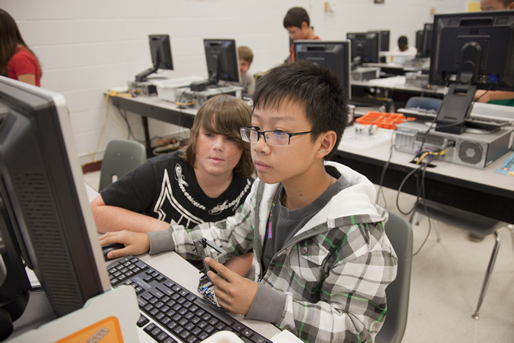 For example, Teach Live, developed by the University of Central Florida, enables teachers to practice new techniques in simulated classroom environments before trying them with real students. Tutor.com provides teachers with individualized, online coaching on how to teach concepts. And the AFT, with Britain's TES Connect, has developed "Share My Lesson," an online community for U.S. teachers to collaborate and share teaching resources and innovative ideas, with a significant emphasis on resources to guide teachers in implementing the Common Core. Of course, school districts must also provide continuous and relevant professional development and growth for teachers that address their skills, knowledge, and needs. 6. Adjust the system over time based on new evidence, innovations, and feedback. It’s essential that states and school systems measure the extent to which new teacher development and evaluation systems are being implemented with fidelity, meeting their original purposes without creating unintended negative consequences. We fully anticipate the need to continuously update measures of effective teaching and the best ways to use them, as more research and experience become available. Teacher development and evaluation must be a vehicle to achieve the mission of public schooling. And that mission must evolve from an outmoded model of education that exists in too many places to a new paradigm that will prepare students for life, college, and career. Teachers must have a system of professional growth that reflects the sophistication and importance of their work, and they must have a meaningful voice in that system. Just as we have high expectations for teachers, we must also for leaders. Officials must invest in these systems—it is more important to do it right than to do it cheap. And, lest anyone expect that teachers, single-handedly, can save public education, we must also focus on the accountability and responsibility that rest with school and government leaders to ensure that students and teachers have the opportunities and supports they need to succeed.